Volunteers Needed: Click here to volunteer yourself for this project. 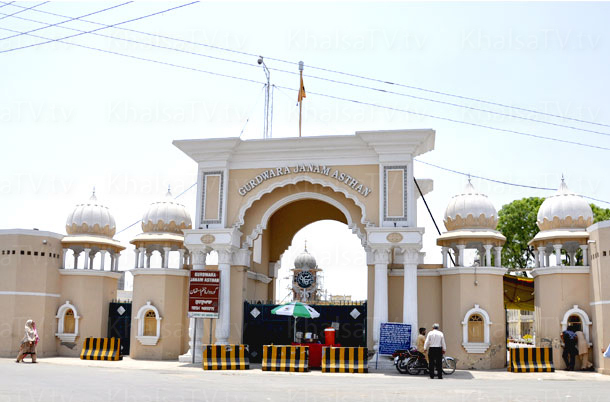 It is located about 80 kilometers south west of Lahore and about 75 kilometres east of Faisalabad. 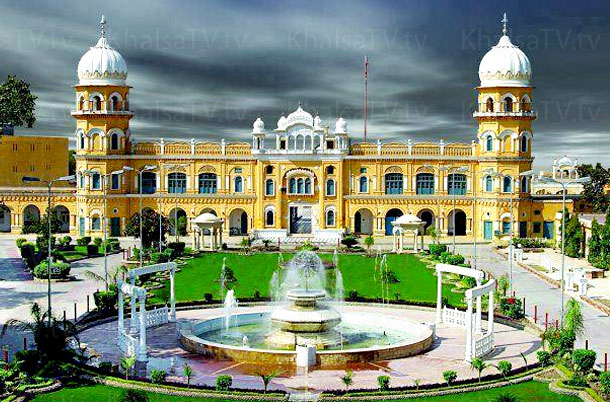 It is a city and capital of Nankana Sahib District in the Punjab province of Pakistan. 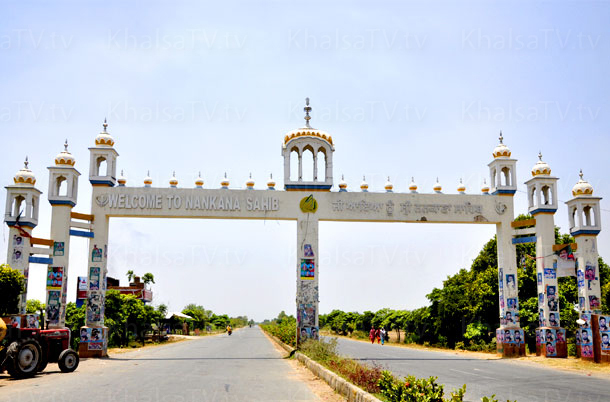 It is named after the first guru of the Sikhs, Nanak. 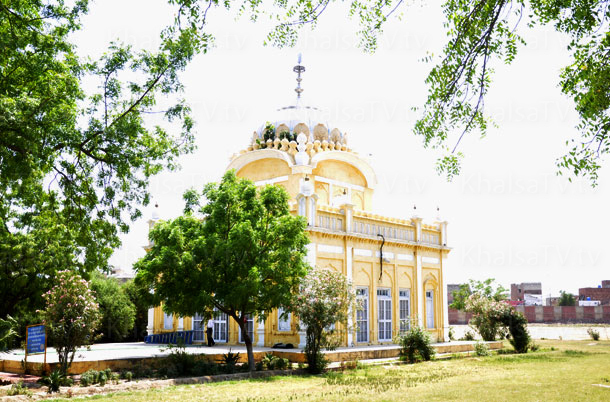 It is the site of several historic gurdwaras built to commemorate miraculous occurrences during Guru Nanak's life. 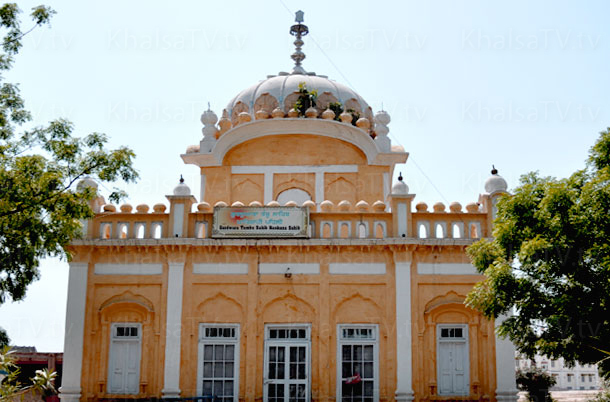 Gurdwara Tambu Sahib is a historical Gurudwara, closely related with the 40 Sikhs (soldiers) of Guru Gobind Singh Ji. During the battle between Guru Gobind Singh Ji and the Mughal Army, the 40 Sikhs with Mai Bhago (Mukhtas) came to the battle ground. 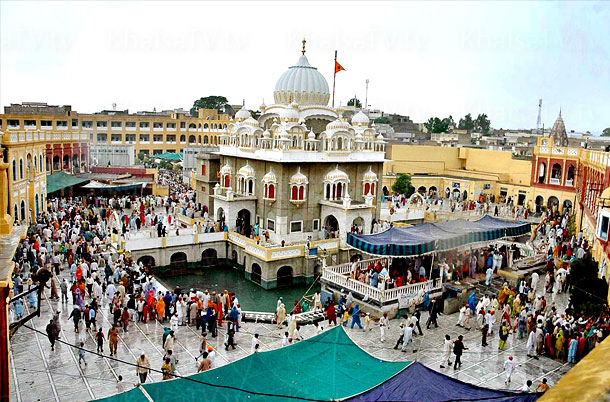 It is one of the most holy places of Sikhism because of the presence of a rock believed to have the hand print of Guru Nanak imprinted on it. 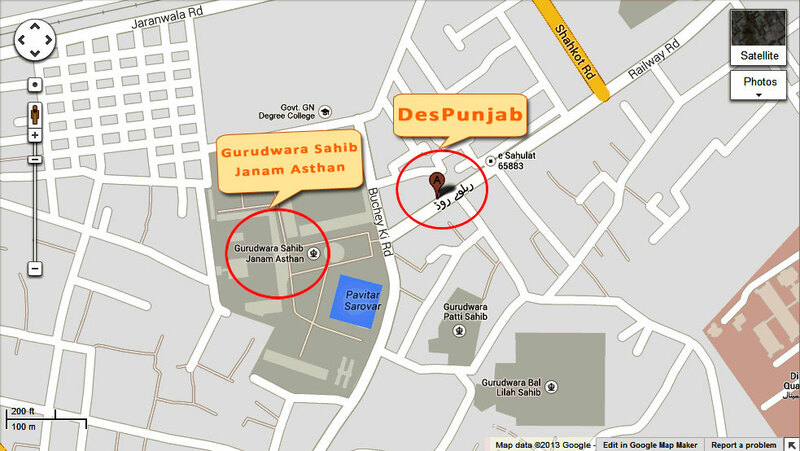 Des Punjab TV channel © 2014.